Made from 100% post-consumer recycled PET. 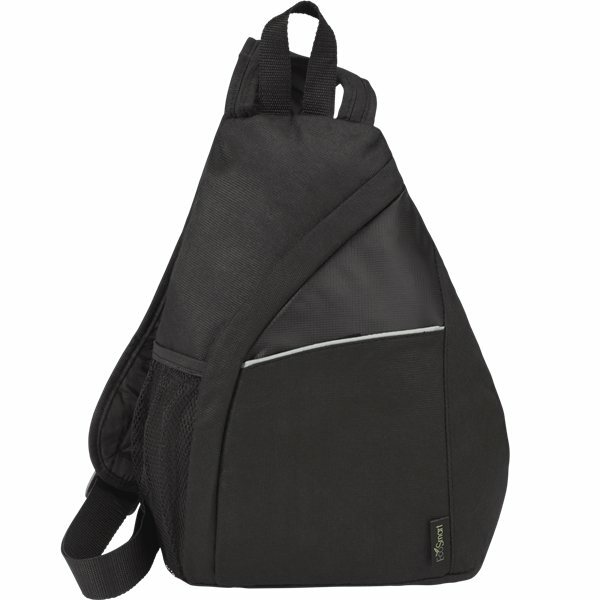 Quick-access slash pocket with velcro closure. Not bad for the price!! It's on the thin side but that's probably because it's 100% recycled. For that reason alone, choosing this item was a win-win. Nice quality and the printing looks great. the product itself is perfect for our upcoming event. Everything came out nice. the quality and service was fantastic! The price was a bit more than other sites, but I was willing to pay for the convenience. It is a great and trendy give-a-way for people of all ages.They were a huge hit at our event!